1. 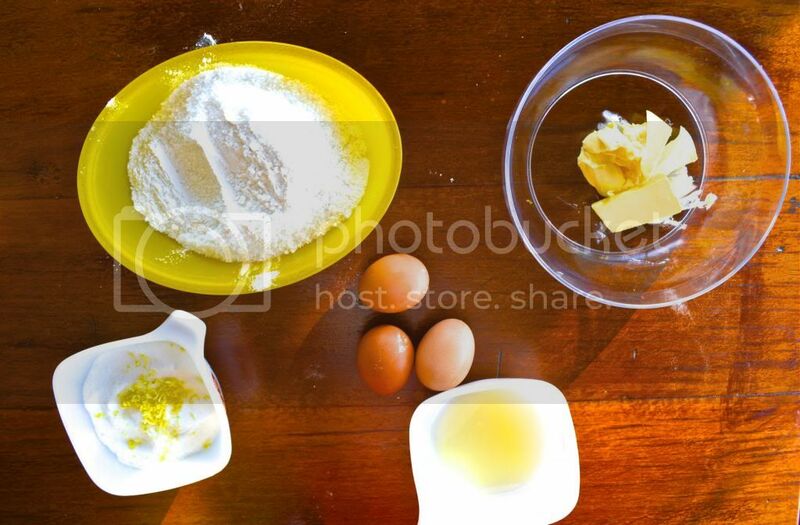 Sift flour into medium bowl, stir in sugar, rub in butter, add egg yolks and essence. 2. Mix ingredients into a firm dough. 3. Press the dough into the base of a greased slice or brownie tray. 4. 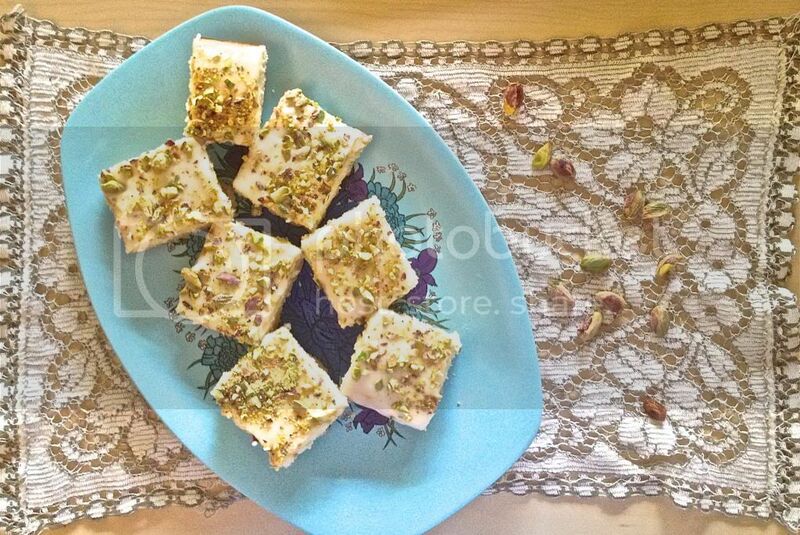 Bake at 180 degrees for about 15 minutes, and meanwhile make the filling. 5. 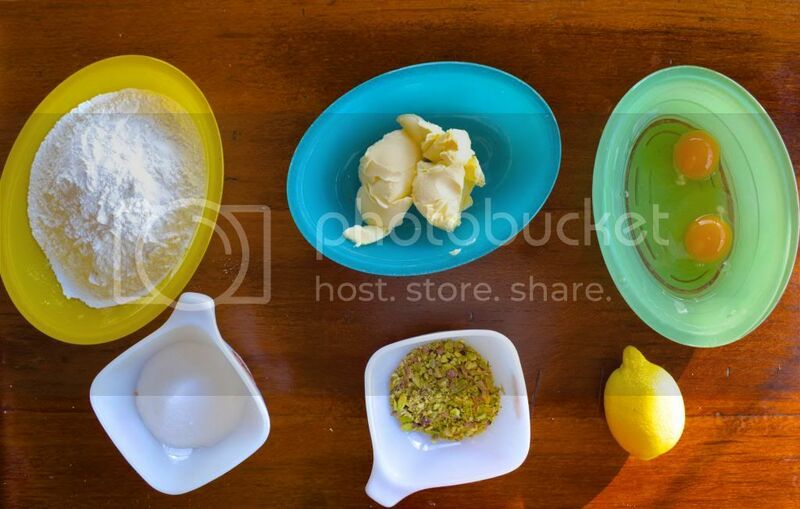 Beat the butter, rind and sugar in a small bowl with an electric mixer until it is smooth. 6. Add the eggs one at a time and beat until combined. 7. Stir in the remaining filling ingredients. 8. Pour the filling over the hot dough base and bake at 180 degrees for a further 30 minutes or until the filling is set. Meanwhile, make the lemon icing. 9. Sift the sugar into a small heatproof bowl, stir in the butter and enough juice to make a stiff paste. I like a really lemony icing so I add quite a more lemon, along with more icing sugar. 10. Stir the mixture in the bowl over hot water until it is spreadable. 11. 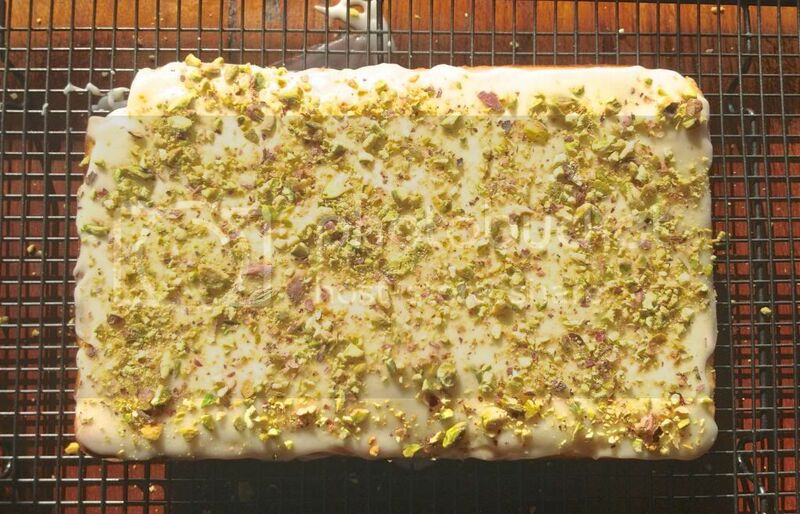 Stand the slice for 10 minutes once it has baked in the pan, then spread with the lemon icing, and sprinkle with the pistachio nuts. Can you please provide the quantity of butter required for the dough. It seems to be missing. Thanks!